Can you retire early or do you even want to retire early? The surprising answer to this question is that many people do not want to retire early for many different reasons. Some would not know what to do with themselves. Others did not start saving soon enough and do not have enough money set aside for retirement. And many more are facing mounting expenses for health issues. They may need money for supporting their kids or mortgages that they never paid off. 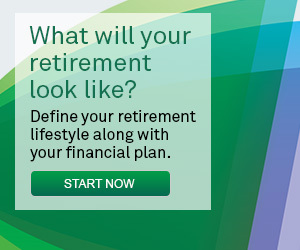 Regardless of whatever your situation is, we think that planning for an early retirement is always a plus. You can still work as long as you want for whatever reason, but at least you have the flexibility to make your own decision about when you retire. Have your financial planner asess your financial situation, taking into account your age, your savings, your debt and your plans for retirement. Consider this a first draft. It is ok to change it as you go. You will probably make changes anyway as you near retirement. The important thing is to have a plan and to know when it might be feasible to retire. Let’s assume that you will have paid off your home, you will have a pension at 55 and you have sufficient savings to live the lifestyle that you want for retirement. You also have your health and this really represents the ideal situation. If you decide to work longer you have the confidence of knowing that you have sufficient income when you do decide to retire. If a health issue gets in the way, at least you will be comfortable. On the other hand if any of these assumptions are not correct you may find that you will have to work until you are older before you can comfortably retire unless you take some steps to correct whatever the issue may be. Completing the financial plan and asking yourself Can you retire early will put you on the road to ensuring that your retirement is what you had envisaged. Some people do not want to know the answer to the question, Can you retire early, however asking and answering the tough questions can always help you plan for the future. This entry was posted in Retirement Planning and tagged Baby Boomers Retiring on 2015/06/07 by prrichar1. 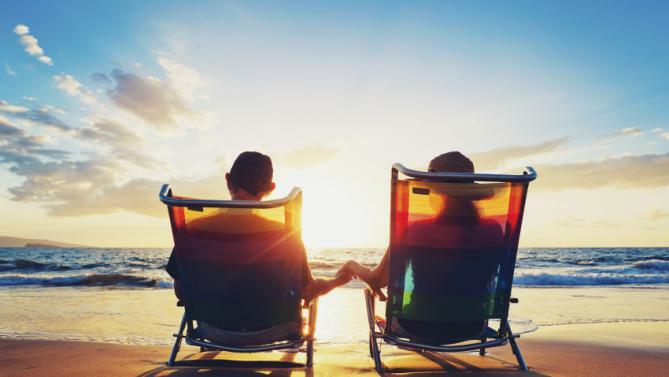 If you’re thinking about retirement in your early 40s 50s or even in your 60s you’re probably wondering what does it take to have a happy and successful retirement. Recently several authors did a study and surveyed over 510 people to learn the magic behind retirement. The following are some of the comments that came out of the study. One of the most significant items regarding retirement is the focus on living within their means. They had a savings plan for retirement. They have calculated how much they would need when retired and began saving for that eventuality. Over 60% of the people surveyed we’re saving between six and 20% of their income every year. Of course there were some people who are saving more. Some people are saving less but the majority have savings plan in place which was in conjunction with any pension that they might be receiving. Many of those people up to 44%, said they were comfortably retired. They had less than $500,000 in assets. This was a huge surprise to the authors preparing this report. It really means coming to terms with what they want out of retirement. Also how much money they will need during retirement. If you follow the 4% rule then someone with $500,000 in assets could expect to have $20,000 in income from theirr savings plus pension income. This may be sufficient for many however for many others they would require much more in savings. Another important point about successful retirees is that they are prudent with her funds. Some people would’ve thought them as being frugal. But only 35% of the people consider themselves to be frugal. The rest said that they would spend enough to live comfortably. Obviously it is a question of managing income and expenses to everyone satisfaction. many people also used financial advisors, up to 62% of the people surveyed used advisors. And they felt that the financial advisor helped them with their savings. For their retirement, many people felt they made big mistakes. While they were saving for their retirement was not getting into the stock market soon enough or getting out too late. Another concern was substantial healthcare costs. Over 25% are concerned about maintaining their standard of living while dealing with inflation, lifespan increasing and healthcare costs. Many people have a car that is over two years old and have their homes paid for. They avoid carrying credit card balances and avoid borrowing money. They have a monthly budget and they stick to it and they have discipline as investors. This entry was posted in Retirement Saving and tagged Successful Retirement on 2015/03/07 by prrichar1.